The Every Day Counts round five (EDC-5) innovation of the month for March is virtual public involvement tools and strategies that use digital technology to engage stakeholders for transportation planning and project development. Involving the public helps transportation agencies accelerate project delivery by identifying concerns early in the decision-making process. Virtual strategies enhance face-to-face information sharing by engaging wider, more diverse audiences and addressing barriers such as potential participants’ busy schedules. In EDC-5, the Federal Highway Administration is helping State transportation departments, metropolitan planning organizations, and local agencies supplement traditional engagement processes with virtual approaches to make public involvement more accessible to more people. Tools such as mobile applications, project visualizations, and virtual town halls offer convenient, low-cost methods to inform the public, boost participation, illustrate projects and plans, and get feedback. 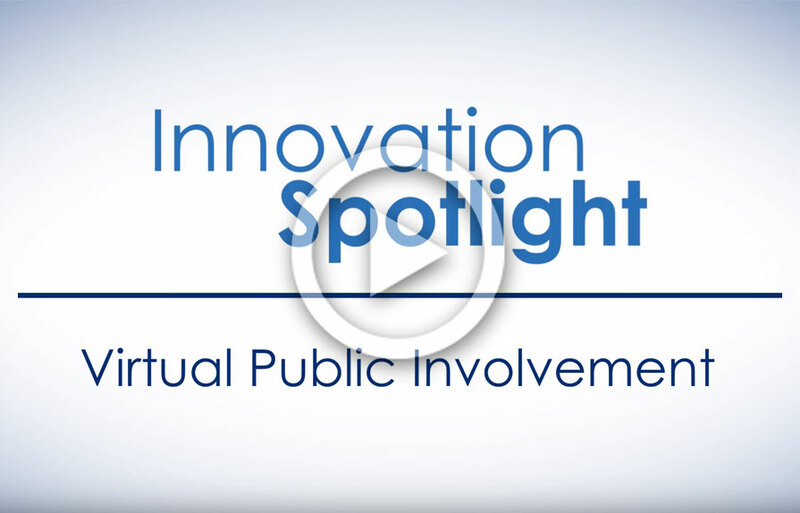 View an Innovation Spotlight video for a quick look at the benefits of virtual public involvement. Watch the EDC-5 virtual public involvement orientation webinar for an overview and examples of how agencies use the innovation to enhance transportation planning and project development. Learn about virtual public involvement techniques by participating in the “Extending Our Reach” webinar series, starting with an April 25 session on meetings-in-a-box, popup outreach, and interactive maps. Communication is a key component of getting innovations into widespread practice. The Oklahoma Department (ODOT) had a success story to tell on deployment of high-friction surface treatments (HFST) to decrease roadway fatalities and prevent crashes. After ODOT applied HFST at three Mayes County locations, an agency analysis projected a 79 percent reduction in crashes and 75 percent decline in severe injuries and fatalities. For an HFST project on Interstates 40 and 44 in Oklahoma City, ODOT projected a 77 percent reduction in crashes and a 69 percent drop in severe injuries and fatalities. To better share its HFST successes with transportation professionals and the public, ODOT used State Transportation Innovation Council Incentive funds on a communication strategy that included development of a report and news release. For information, contact David Ooten of ODOT. 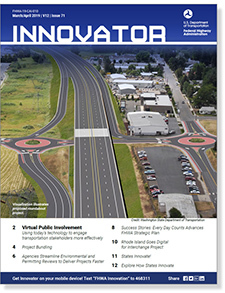 The March/April issue of the Innovator newsletter features more information on virtual public involvement tools that can make the transportation planning process more accessible to more people. Also explore an advanced approach to project bundling that saves agencies 10 percent or more on construction costs while making project delivery more efficient. And learn how EDC helped States pursue strategies to improve coordination with resource and regulatory agencies, including development of a Section 106 programmatic agreement in Georgia, inception of a programmatic tool for culvert assessments in New York, and creation of a working group on wetland mitigation in Idaho.